Portable Appliance Testing is an inspection of all electrical appliances to ensure that they are fit for use. This is undertaken by qualified engineers trained to identify electrical flaws, damaged cables, and suitability of equipment as fit for purpose. Day-to-day use of portable electrical appliances inevitably causes wear and damage to leads, plugs, and to the item itself. 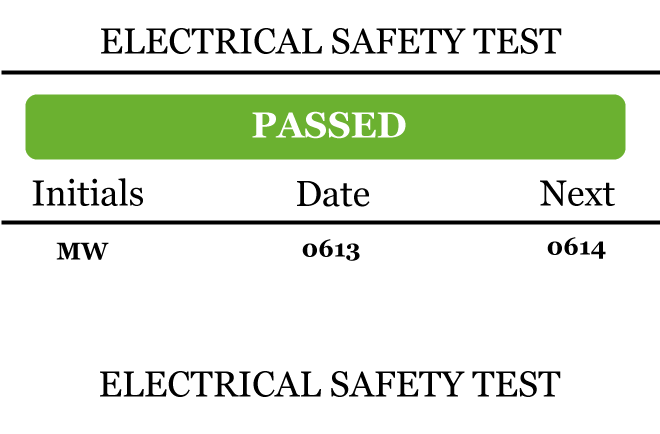 If undetected and unresolved, this may in turn result in an electric shock or fire. Employers, Institutions, and Landlords, therefore have a statutory responsibility to ensure that all electrical appliances used by employees, guests, and tenants, are safe. All systems shall be maintained so far as is reasonably practically possible, to prevent danger under the Electricity at work Act. 1974. Regulation 4 (2). All commercial, industrial, and retail environments, and where the premises are available to the public.